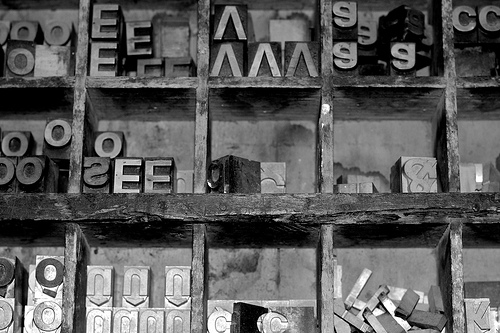 For me, one of the highlights of our holiday in North Umbria was our visit to a printing and typography museum in Città di Castello. 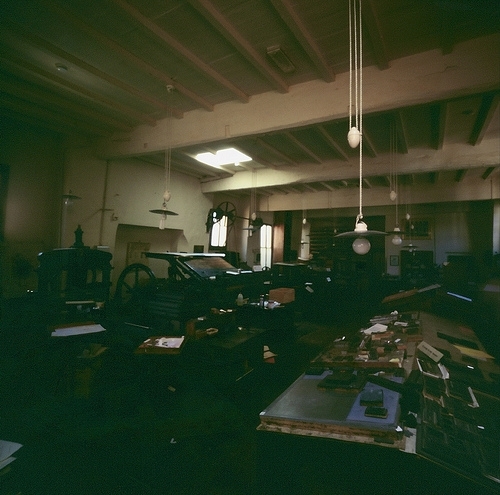 Typografia Griffani-Donati is a family-owned printing business that has been at the same location since 1799¹. 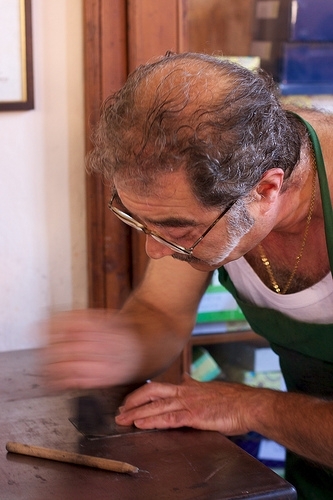 The present owner, Snr Ottoviani, a gentleman and a craftsman, proudly showed us his workshop and the various techniques they use there — metal type, engravings, through to beautifully detailed lithographs. It’s particularly great to see your own souvenir printed in front of you (or even print it yourself) on a range of lovely 19th and early 20th century printing machines. Wondering around during the tour it was fascinating to see row upon row of type filed in drawers labelled with familiar names from word processing applications — Eurostile, Bodoni, Garamond — and many others that aren’t as familiar. Finally it’s worth visiting their little shop across the street to buy some reproductions of the Grifani ex libris images they have produced over the centuries. 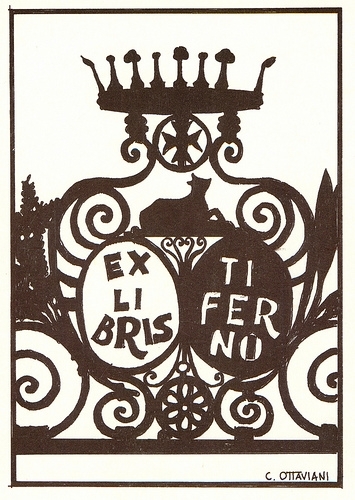 Now my obsession is to find a source of ex libris images for my own books.